For the attention to the 1st. online English-language platform that is dedicated to the non-Hungarian speakers. The Hungarian Dance House Movement is an online platform dedicated to the local Hungarians, foreigners working, staying in Budapest and also to those who are just interested in Hungary’s traditional fol dances to get an insight into the Hungarian culture better. Well known fact, to become to know a country is mainly about its gastronomy, sights-and-sounds, but definitely not remain in understanding the cultural values of the country. The Hungarian folk music and folk dance also strengthen Hungary’s cultural diplomatic connections. 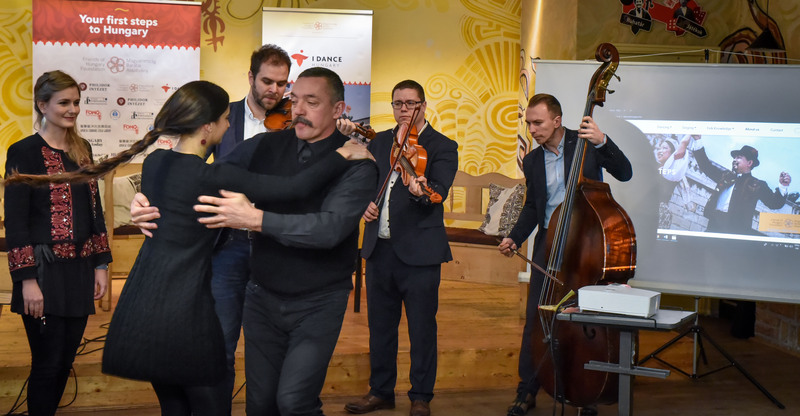 The main goal of creating “I Dance Hungary” is to build a bridge between non-Hungarian speakers, the Hungarian diaspora … a venue to Hungarian culture and folk dance. The dance house movement began in the 1970s and by now became one of the most important retaining powers to the Hungarians living abroad. At the different regions in Hungary are belonging to own traditional folks dances … for instance dances of the “Mezőség” … “Szászcsávás”…”Katólaszeg” are unique. The so-called “táncház” – “dance house” bring communities dancing and singing together. “I Dance Hungary” will host a webpage launching dance house event at 8 p.m. this coming Saturday at Fonó Music House in Budapest.